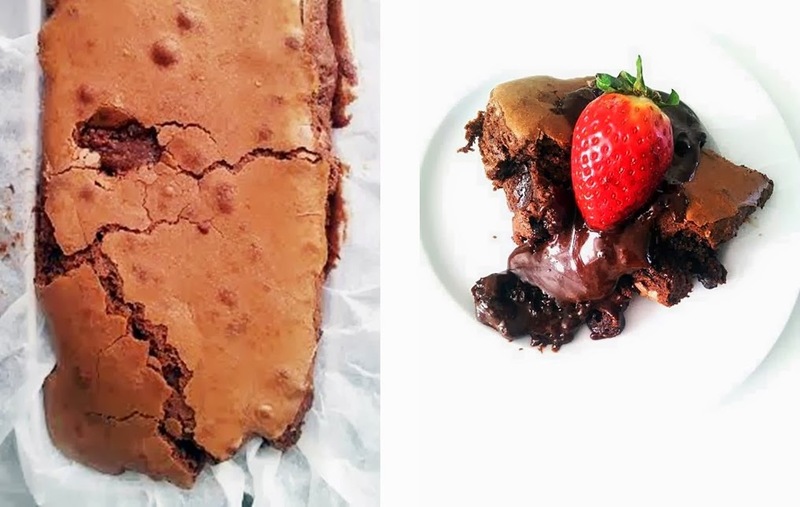 This is the first time I put a recipe on the blog, but I had to share it because who doesn´t love a double dose of chocolate! It's a cake with the texture of a brownie with liquid nutella on the inside. Not very healthy, but so simple and delicious you have to try it! 1: Put the Eggs, and sugar together and mix it together with a spoon. 2: Put the flour, (melted) butter, and baking powder at the egg and sugar mix. 5: After mixing the cacoa powder together with the cake mix add 3 table spoons of Nutella at the cakemix. 6: Mix the nutella and cakemix again for 1 minute with a handmixer. 8: After the cake is baked let it cool down for 15 minutes. 10: put a strawberry on top and dip it in the Nutella. Enjoy!! Jammie, dat ziet er echt lekker uit!! Ooh wat lekker! Vooral dat het van buiten zo krokant blijft en van binnen zo zacht!